Faraon Peruanos are called many names, such as Mayacobas, Canarios, Bayos. No matter what you call them ,the net result is the most tender, meaty, delicious beans obtainable. Once you try them , you will surely include in all your future culinary projects. 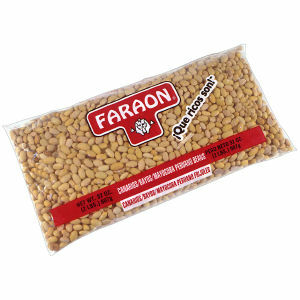 Faraon packs its own beans using the best possible packaging processes to insure full satisfaction.